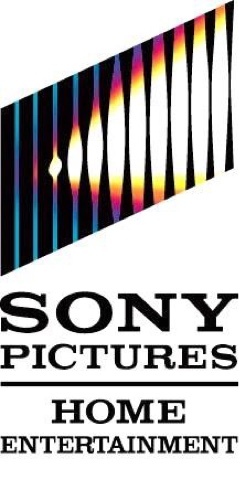 CULVER CITY, Calif. (June 1, 2015) – Kevin James is back in action as Paul Blart in the outrageous comedic sequel PAUL BLART: MALL COP 2, debuting on Digital HD June 30, and on Blu-ray™ Combo Pack and DVD July 14 from Sony Pictures Home Entertainment. After six years of keeping our malls safe, Paul Blart has earned a well-deserved vacation and heads to Las Vegas with his teenage daughter for a security guard expo. But safety never takes a holiday and when Blart stumbles upon a heist he must answer the call and once again, save the day. PAUL BLART: MALL COP 2 also stars Raini Rodriguez (“Austin & Ally”), Eduardo Verastegui (Chasing Papi), Daniella Alonso (“The Night Shift”), Neal McDonough (Captain America: The First Avenger), David Henrie (Grown Ups 2) and Shirley Knight (Grandma’s Boy). The Blu-ray features all-new bonus materials, including six deleted scenes, a gag reel and eight behind-the-scenes featurettes with Kevin James getting re-acquainted with his old friend, the Segway; a look at the filming of Le Reve; an inside look at creating the action sequences; and real-life security officer’s thoughts on the fictional Paul Blart. Included on the DVD are two behind-the scenes featurettes. § “Security Force: The Cast of Paul Blart 2” featurette – The gang is all back with some very notable additions! § “How to Make a Movie” featurette – Director Andy Fickman gives a tour of each department on the film. o “Action Adventure” – Cast and Crew talk about creating the action set pieces from the stairs to the Zip Line! o “Back in the Saddle” – Kevin James gets his bearings on his old friend, the Segway. o “Le Reve” – Go behind the scenes of La Reve as filming gets underway. o “No Animals Were Harmed” – Paul’s attacker is revealed in his natural state. o “Sales Tactics” – Sometimes nailing a line takes time. A lot of time. o “Real Cops” – Hear from Nevada’s finest about their thoughts on Blart. 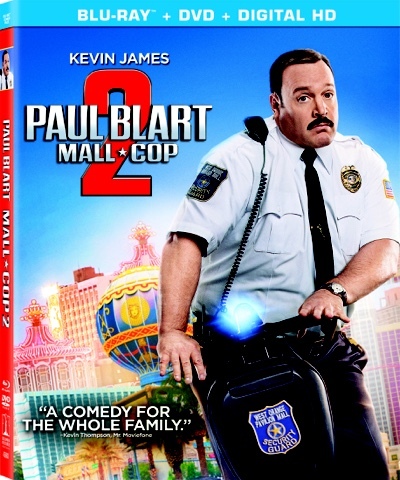 PAUL BLART: MALL COP 2 has a run time of approximately 94 minutes. The film is rated PG for some violence.